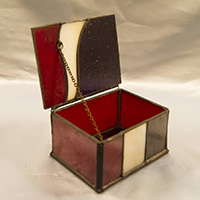 Advanced Stained Glass - 4-Panel Lamp ~ Sign Up Now! 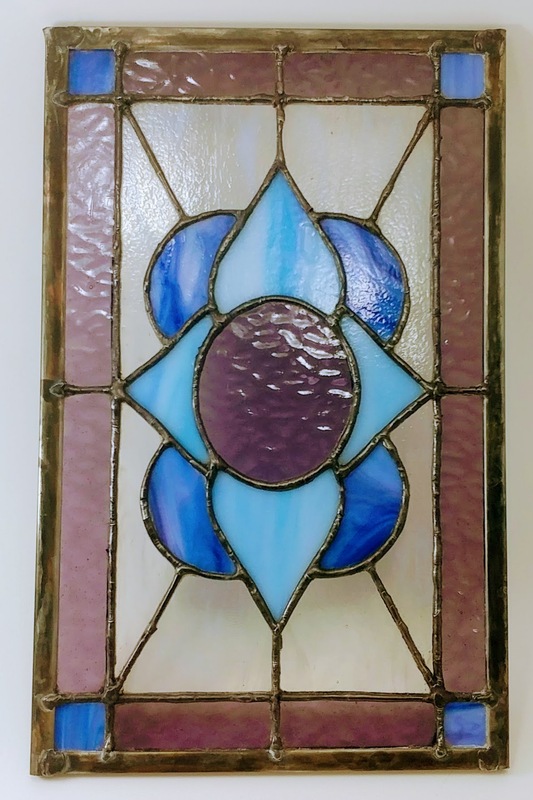 Join me for a fun class learning how to make a 4-Panel Stained Glass Lamp! We'll be making a 4-panel lampshade and learning how to add decorative embelishments. I'll share tips and tricks for assembling 4 and 6 panel lampshades. Watch it live or purchase the course and revceive additional bonus content! Read more about Advanced Stained Glass - 4-Panel Lamp ~ Sign Up Now! Make Your Own Glass Nuggets! 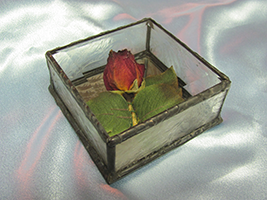 Making glass nuggets for your stained glass projects is easy if you own your own kiln. Premade niggets come in a limited color range, don't let that limit your creativity! And you can make your own eyes as well! How many times have you wanted to make a project with an animal but worried how to make eyes? 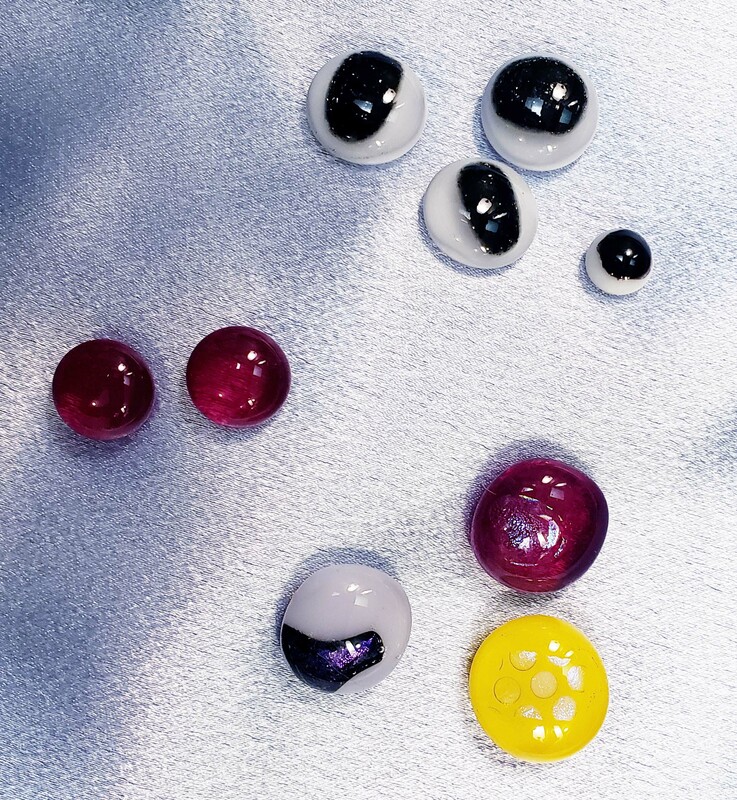 Above are animal eyes, red berries, and miscelleanous nuggets. 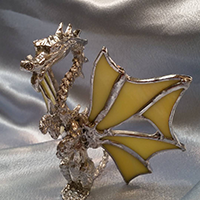 Read more about Make Your Own Glass Nuggets! 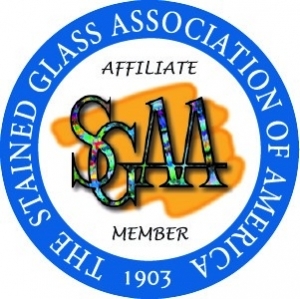 Read more about Advanced Stained Glass - Foil Method... Sign Up Now! 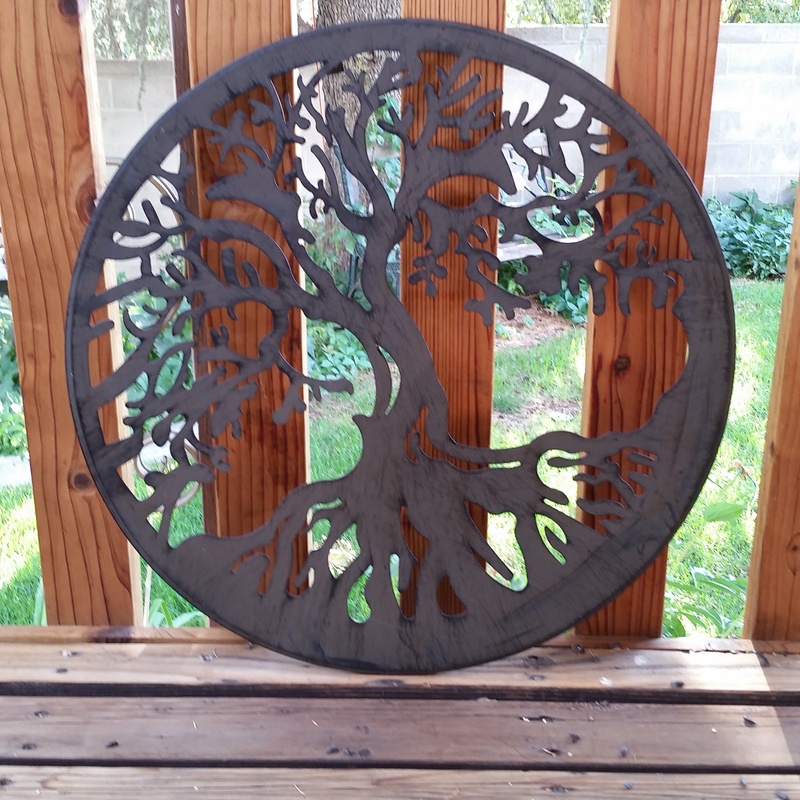 I've been preparing to teach Beginning Stained Glass online for the great folks at CuriousMondo.com and I figured it might be nice to explain the "why" behind some of the things I choose to do. One of the things I use most is 60/40 (tin-lead) solder. I didn't think "because I like it" would be a reasonable response if asked so I did what any reasonable person would do and asked Google. 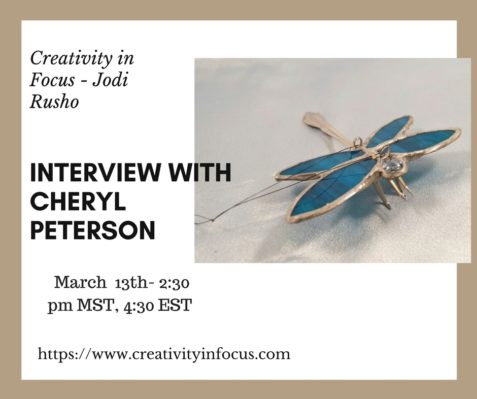 We'll be talking about the glass I make and how it all began. 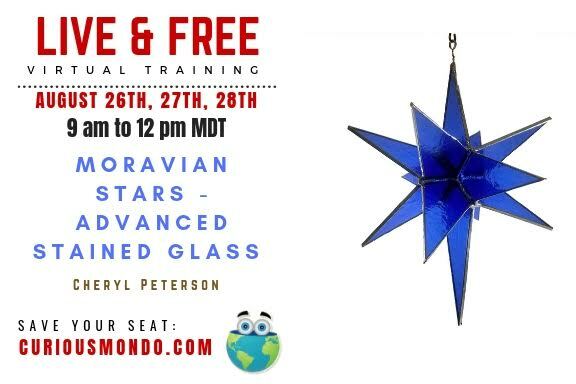 Announcing, Live Stream and On Demand "Beginning Stained Glass - Foil Method"
It seems like every event I do someone asks if I teach stained glass classes and up until now I've always said, "sorry, no" and recommended one of my colleagues who does teach. But that's all about to change! I'm teaching an online course! Read more about Announcing, Live Stream and On Demand "Beginning Stained Glass - Foil Method"
It had a "lip" in the back that would be perfect to act as a frame to support the glass so I said I'd be happy to give it a try, and brought it home with me. I had a vision of how the final piece would look so all I had to do was make that vision become a reality. Final Installation: Hold Your Breath! After much anticipation, and a quick onsite repair, the day finally arrived for the big reveal. Prior the grand opening and ribbon cutting at The Quilter's Lodge these two panels were hidden from view with brown paper. But when the paper came off and the crowd oooh'd and aaaah'd, all the months of work was paid off. Read more about Final Installation: Hold Your Breath! It's not something you want to think about but occasionally breakage happens. A glass artist knows the sound and no one wants to hear it. Occasionally it happens when a piece is being installed. 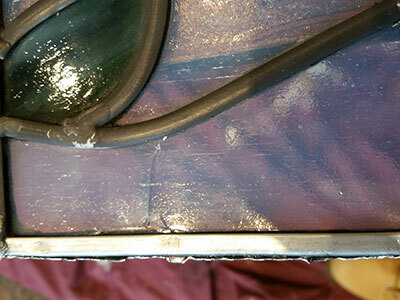 It was a lucky thing that the breakage was in a convenient spot and easy to fix. So I packed up my tools and made the repair on site.